We have noted before the renaissance in the appreciation of the place of natural law in Reformed theology, as exemplified by Stephen Grabill, Rediscovering the Natural Law In Reformed Theological Ethics (Grand Rapids, Eerdmans, 2006), and in Michael Sudduth’s The Reformed Objection to Natural Theology (Ashgate, 2010), in John Calvin’ s Ideas (Ch. 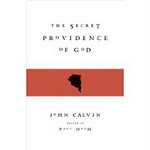 12) and more recently, in Calvin at the Centre (Ch.10), as well as in a number of articles. It is fair to say that in his new book Natural Law and the Two Kingdoms, David VanDrunen gives a considerable fillip to the trajectory of this recovery. After its publication the way in which natural law is integrated into Reformed thought from the very start becomes as plain as a pikestaff. The book also well illustrates the tensions inherent in the two kingdoms doctrine, as well as what appear to be lesser tensions in the appeal to natural law. The book cannot safely be ignored by anyone who wishes to make a contribution to this area in future. There are several reasons for this. 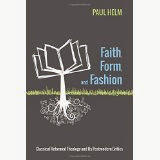 The first of these is its panoramic sweep, from Augustine’sCity of God through Abraham Kuyper, a figure of transition, to Van Til and his disciples including Meredith Kline, David VanDrunen’s former colleague at Escondido, in which the fate of these two themes is thoroughly treated. Then there is the way in which the author shows the integration of natural law and the two kingdoms doctrine in Reformed thought. These are not two isolated theological loci, but integral to the classic Reformed view of ethics and culture, Christology, and ecclesiology, the life of faith and the life of the citizen. The twin themes become too pervasive to ignore. At the most basic level these themes are biblical ways of addressing the church’s difference from the world, and yet its present situatedness within the world. The author orchestrates variations on the central theme of Augustine’s two cities, and then of Gelasius’ doctrine of the two swords. These two thinkers are among the first to articulate versions of what makes the church distinctive, while recognising what Christians have in common with their non-Christian fellows. 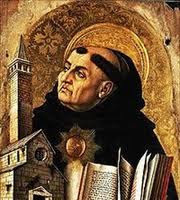 The reader is taken through later developments in Aquinas, where the idea of natural law receives considerable prominence. But not only in Aquinas, also in Duns Scotus and William Ockham, two thinkers who allegedly began to unpick the ‘medieval synthesis’ but who were nevertheless firm upholders of the moral law as natural (in the sense of concreated). All identified natural law with the moral law, and the moral law with the law of God, its universality to be understood as part of the original created endowment, though now disordered by the Fall. This preliminary material is covered in the chapter two. The next four chapters are central to the book: on Calvin and other early Reformed figures; on Reformed resistance theory (Goodman, Hotman, Beza, Knox),and on Reformed Scholasticism (Turretin, Althusius, Owen, Rutherford, The Westminster Standards, and hosts of other sources); and on ‘theocratic New England’. At Chapter 6, ’Theocratic New England, Disestablished Virginia and the Spirituality of the Church’, the book takes (for me) a surprising twist. Through his treatment of John Cotton, VanDrunen shows how the earlier, two kingdoms doctrine which (in Calvin et al.) already had evident tensions between the role of the magistrate in upholding true religion and the ministerial function of the church, was corrupted in Puritan New England in a direction which ‘christianised’ the state in an Erastian, if not a theocractic, direction. The liberty of conscience was contracted in its scope, and there was blurring of the distinction between natural law and judicial law. Contrasted with this is the reassertion in Virginia (at a time when the Anglican church was established in that state) of ‘the spirituality of the Church’ through the submissions of the Hanover Presbyter to the state legislature over disestablishment, leading to the passing of Statue of Religious Freedom, and the influence of the individual presbyterians Samuel Davies and later Stuart Robinson and John Henley Thornwell. By this phrase, ‘the spirituality of the Church’, is meant that the church is to be concerned exclusively with the gospel. But what if the state enacts laws which depart from the standards of Scripture? What if the church supports voluntary associations that have the moral improvement of society as their aim? VanDrunen traces some of the intricacies of such issues through the clash between Thornwell and Charles Hodge over church boards. While tensions remain in the articulation of doctrine of the two kingdoms, he sees this period as providing a further purifying of it. Throughout this time the natural law continues to be upheld, occasionally using the Scottish Common Sense Realism introduced to the United States by John Witherspoon, as a vehicle for its expression. But contrary to the charge routinely made, this was not evidence of an optimistic, ‘Enlightenment’ mood, for account was taken of the effects of sin upon the apprehension and expression of such law, and the need for Scripture to supplement and to refine it. As an aside, VanDrunen notes the two kingdoms’ integral relation with Christian freedom, and the paradox that while the church can require of her people only what is intrinsic to the gospel, the state can require much more. He also seems to hint that the two kingdoms doctrine and postmillennialism are in a rather abrasive relationship. So far in the panoramic survey, the two swords doctrine and the upholding of the validity of the natural law have kept a close relationship, twined around each other like the honeysuckle and the bindweed. But in Chapter 7 the author introduces the reader to another, more radical twist in the saga: the transitional figure of Abraham Kuyper, a catalyst for significant changes. There are various general factors at work in Kuyper’s thought which must be noted. He propelled the idea of an antithesis between the regenerate and the non-regenerate into the sphere of culture. He introduced other new terminology besides ‘antithesis’ – ‘ordinances’, ‘common grace’, the church as both an ‘institution’ and an ‘organism’, the idea of Calvinism as a ‘world-view’. Theologically, he gives some priority to general revelation over special revelation. This language, and a rhetorical style that was at once pugnacious and romantic, make an assessment of his position vis a vis the historic natural law/two kingdoms view of Reformed theology somewhat difficult. Nevertheless VanDrunen sees Kuyper as falling within that tradition. For Kuyper sees the effects of common grace in restraining sin, in rather the way of natural law, and he sees the institutional church as distinct from culture. `Though somewhat misleadingly (in terms of the tradition) he thinks of the contrast in terms of the kingdom (culture and nature) and the church (grace). Christian values may percolate through the windows in the walls of the church to exert a positive influence on the surrounding culture, thus exerting the rights of Christ over all spheres of culture which nonetheless has an independent value. (I’m not sure about this, for if Kuyper is a supralapsarian, as I’ve heard alleged, then nature must be subordinate to, and for, saving grace.) In Christology, VanDrunen sees Kuyper as echoing the tradition’s distinction between the Logos’ s role in the creation and sustaining of the universe and as the Messiah and Savour of his people, and as affirming the spirituality of the institutional church in his support for religious liberty. The author finds support for this view from the fact that followers of the Kuyperian vision such as Jeremy Begbie bemoan the presence in Kuyper of what is left of the two-kingdoms’ conceptuality. The problem is that despite all of this, the weight of Kuyper’s thought falls on the cultural side of things; the organic church triumphs over the institutional church, and the kingdom receives greater emphasis than the church. Despite his Christology, Kuyper comes to advocate the ‘christianising’ of culture, the establishing of a Calvinistic world-view, as seen in his Stone Lectures, for example. The otherworldliness of the tradition is muted, if not lost from sight. As we shall shortly see, it is this side of things that attracts his followers. the neo-Calvinists. Cultural grace swamps redemptive grace, the church as organism triumphs over the church as institution, and the cultural mandate of Genesis retains its integrity and priority, despite the Fall. But before the author develops all this, there’s a chapter on Karl Barth. The problem that the author has with Barth is even greater than with Kuyper. Partly this is because Barth inhabits a very different thought-world, where the chief categories are not objective states but acts and events. So the concept of nature, say, is not one that Barth is very happy with. And partly it has to do with his oblique, playful, even skittish style. (I was reminded of the chapter on Barth in Eller's The Christian Anarchist.) VanDrunen notes the Christocentric character of Barth’s theology according to which every theological category must be given a Christological interpretation. He has no room. therefore, for any action of the Logos apart from his being viewed as the incarnate Christ. Hence his rejection of natural theology, and also of natural law. Sometimes Barth seems to change the terms but leave the realities. No natural law, for we can know nothing about the world except through revelation in Jesus Christ. Is there no truth in areas of life out of contact with that revelation? Oh, says Barth, there are ‘secular parables of truth’. In such a fashion Mozart presented the world as it is, though not theologically, but as a secular parable. But how can this be? When the word of God allows itself to be reflected and reproduced in them. Though there are tests for these, such words are never valid for all times and places. So what might it mean for the character of these true but fleeting words to be guaranteed christologically? All this is not without some interest, but it is easy to see how the author finds it impossible, almost, to categorise Barth. For even where there may seem to be some overlapping between Barth’s views and the natural law – two kingdoms categories, as in his remarks on conscience, one has the feeling that such identification may be purely nominal. When he says that the state ‘as such’ relies upon the natural law, does he mean what the tradition means? A different theological foundation, a different doctrinal superstructure, presumably. I think that it is fair to say that the `Barth chapter is an interlude, as far as the book is concerned, except insofar as Barth was a significant factor in the developing of a strong mood in the early twentieth century that was antagonistic to the very idea of natural law. In a way this is the least satisfactory chapter of the book, but then it is the least necessary, written, I suspect, simply in order to parry the question ‘Where’s your chapter on Barth?’ The reason for this is that Barth, though regarded and regarding himself as a Reformed theologian, is not in the affirmative confessional tradition that VanDrunen is exploring, and in which what he regards as the classic Reformed commitment both to natural law and to the two kingdoms finds its normative expression. The remainder of the book addresses characteristic developments within that confessional tradition, and, as this has found expression in smaller and smaller groups over the years, so the book bears witness to a narrowing of focus, not by design, but a narrowing which is a simple consequence of the narrowing of the confessional Reformed constituency in the late twentieth century.